"The PCI Council additionally recommends that merchants consider implementing PCI-approved point-of-interaction (POI) devices" for encrypting credit and debit card data as the card is swiped or dipped into a payment terminal. 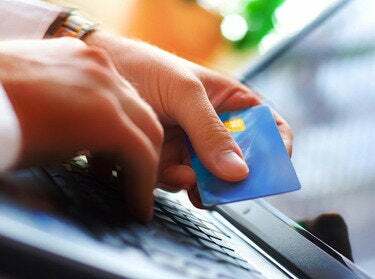 Merchants should also consider deploying point-to-point encryption technologies to ensure that card data remains protected until received by a secure decryption facility, the advisory noted. The bulletin reflects the growing concerns within the payment industry over Backoff, which hackers use to steal payment card data from point-of-sale (POS) systems. The U.S. Department of Homeland Security and the U.S. Secret Service believe that Backoff has already infected POS systems at more than 1,000 small, midsize and large businesses, including Target and Neiman Marcus. More than 40 million payment cards were compromised in the Target breach alone, while the Nieman Marcus compromise exposed data on some 1.1 million cards. In a bulletin issued last week, the DHS and the Secret Service said they had responded to "numerous incidents" over the past year involving Backoff. So far, seven vendors of POS systems have confirmed that multiple customers were affected by the malware, the bulletin said. Last week's bulletin was a follow-up to one released by the DHS and the Secret Service in July warning businesses about Backoff's use in targeted attacks against U.S. retailers. The bulletin warned of attackers taking advantage of commonly used enterprise remote access tools to break into retail POS systems and plant the Backoff malware. What's interesting about the PCI council bulletin is the specific mention of end-to-end encryption of payment card data, Huguelet said. Gartner analyst Avivah Litan said the bulletin will likely make little difference. "The damage has already been done and PCI compliance processes did not stop this attack" she said. "There's no new rules or mandates here -- they are just trying to show that they are relevant and that they already have rules to prevent such attacks," she said. Just requiring retailers to become PCI compliant is not enough to mitigate risk in the payment system, Litan added. "The PCI Council and the card brands, banks, payment processors need to make the payment system more secure and stop putting all the responsibility on the retailers to patch an inherently flawed system."